Fire at some of the most challenging targets at one of these gun ranges in NY. Find out all you need to know about shooting ranges in New York, where you can safely fire off a couple rounds with friends. One of the Coolest Gun Ranges in New York! Serving the NY Metropolitan area since 1964, Westside Rifle & Pistol Range caters to a variety of shooters. 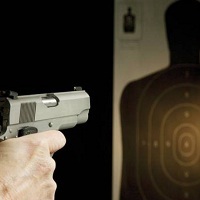 Within the indoor shooting range you'll find everyone from hobbyists to hunters or members of law enforcement. Since a permit is not needed to shoot a .22 caliber rifle in NYC, Westside gives novices the chance to experience the excitement of firing one off. All first-time visitors are required to take a safety course in a classroom, accompanied by an instructor on the firing line. A criminal background check must be performed on all new shooters. Check the website to read about the variety of membership options available. The Woodhaven Rifle & Pistol Range is a private club located in New York City. 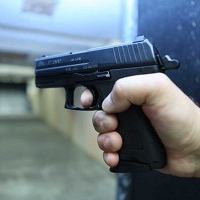 This shooting range in NY has been in business since 1973 and offers Pistol license assistance, Security guard training, Hunter safety classes, Pistol competitions and Firearms exporting to qualified individuals. Woodhaven Rifle & Pistol Range is a member of The National Firearms Dealer Network, containing America's largest online firearm's inventory which means you can shop anytime and from anywhere in an online firearms mall. Woodhaven Rifle and Pistol Range is the authorized dealer for Glock, Smith & Wesson, Kahr, Beretta, Browning, Colt, Kimber, Mossberg, Marlin, Remington, Savage, Springfield Armory, Sturm Ruger, Winchester, and Walther. Working hours: Monday and Friday 1 pm – 6 pm, Tuesday, Wednesday and Thursday 1 pm – 9 pm, Saturday 10 am – 6 pm. Like shooting? Then come to Calverton Shooting Range in NY. 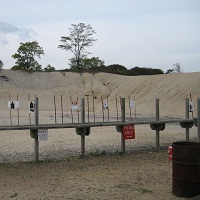 It is a private shooting range and a homeland security training facility located in Eastern Long Island. It offers 10, 15, 25, yard pistol range, large and small bore 50, 100, 200, 300 yard rifle range, 50 yard black powder and shotgun range, and an archery range. Working hours are subject to change depending on the season. For more information, visit the website. Range fees: $15/day rifle, pistol and archery, $18/day trap, and $255/year pass. Since you can not rent weapons, you should bring your own firearms. 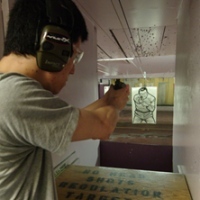 If you are looking for a shooting range in NY, come to Colonial Rifle and Pistol Club. It was founded in 1936 and ever since has offered legal, organized rifle and pistol shooting. The range is an outdoor facility with a 21 point, 50 yard pistol range with turning targets at 25 yards and a 14 point, 200 yard rifle range with a stepped berm at 100 yards. The ranges are separated by a bullet-proof wall and are operated independently. Colonial Rifle and Pistol Club features a large heated clubhouse and separate rest-room facilities for men and women. The off-street parking can accommodate 60 cars. You must be a member or a guest of a member if you want to fire on the range. For more information, visit the website. 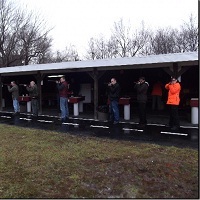 Whether you are a professional seeking to sharpen your skills or an enthusiastic amateur looking for some casual shooting fun, visit Seneca Sporting Range, one of the best shooting ranges in NY. Here you can also be trained by NRA Certified instructors and get your NYC gun license. The range was established in 1977 and includes15 safe and sound proof separate shooting points certified by the city and state of New York, as well as a gun store and ammunition available for sale on the premises. The annual fee of $300 per year makes the range one of the most affordable shooting ranges approved and authorized by the NYC Police Department.